Hello and welcome to our new Thursday Tips & Tricks series. 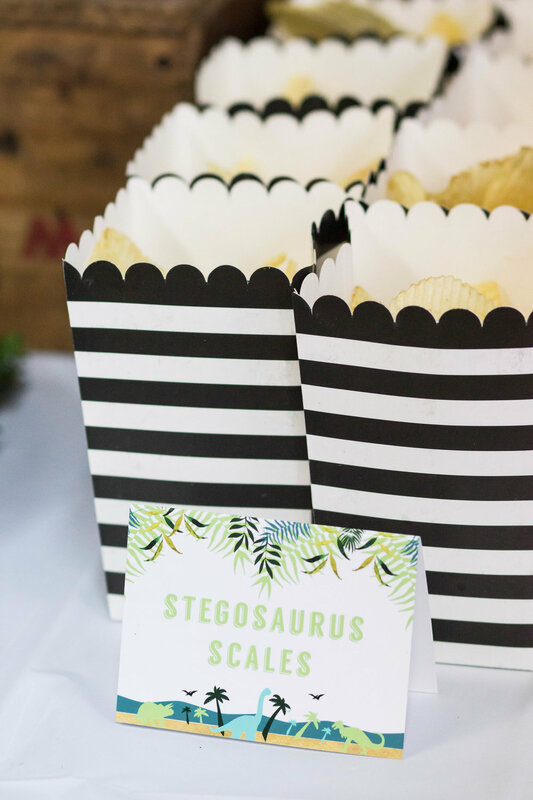 I’ll be sharing some of my favorite party tips to help keep the stress out of party planning. Parties are meant to be memory making events, and you don’t want the only memory to be how stressed out you were while putting it together. Read along with this tongue and cheek series and let us know if there are any specific party problems you have! We would love to help make it easier for you. My son’s 6th birthday was this past weekend, and it got to be the week of his party when I realized, I had spent so much time working on other people’s parties, that I hadn’t even started on his. That got me thinking that there are probably a TON of other moms or hostesses out there that are busy with work, or kids, or just life in general, that are in the same boat. I started decorating parties for my son’s 1st birthday and have a ton of experience under my belt on what’s quick and easy, and which decor item is the BIGGEST time waster. I’m sharing 5 easy ways to decorate an event, when it’s the day before and you have nothing done. These easy decor tips can make any party look custom created, and guests will think you spent way more than a couple hours preparing. 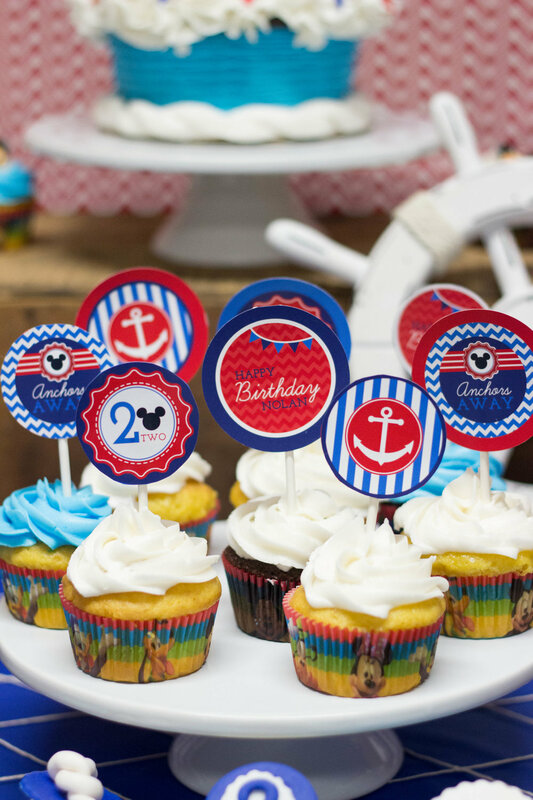 Cupcake toppers are a fun, versatile way to decorate a party. A simple Pinterest search will bring up all kinds of printables in your theme. All you have to do is print, cut and tape onto a stick. If you’re like me, you don’t even have to bake the cupcakes. I usually just pick up a dozen cupcakes from the grocery store the day before the party. 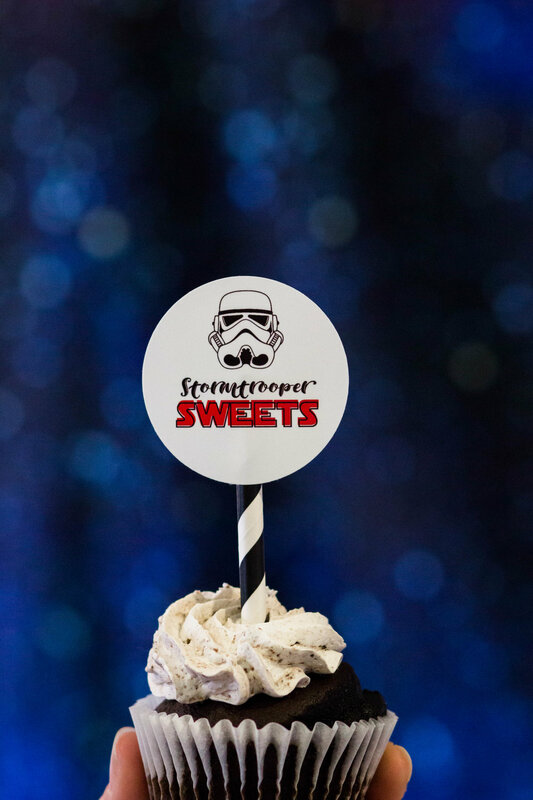 If you plan on hosting more than one party in your life, I highly recommend getting a cupcake topper punch. I have had the shown punch for over 6 years and LOVE it. It’s been used a ridiculous amount of times. I use both the 2” circle punch and the 2.5” circle punch for a bit of variety. Total time: Around 15-20 minutes for assembly. Possibly hours to decide which printable you like best, out of the thousands you can find online. 1 case of water, 24 bottle wrappers, B O O M decor. This is probably one of the easiest decor ideas out there. You honestly don’t even need to do the whole case. Throw a few wrappers on and everyone will think they are the best thing ever. I know this from personal experience. I once put some “melted snowman” wrappers on a couple of bottles of water, for a get-together, and everyone thought I put so much time and effort. I did it 10 minutes before everyone arrived. Every party needs water, why not make it cute?!? This decor idea is only slightly more labor intensive than the cupcake toppers, only because you have to take the current wrappers off the water bottle. I mean, if you are really short on time, just skip that step too and tape them on top. This is a great way for kids to help decorate, they will LOVE ripping the original bottle wrappers off of the bottles. Total time: Around 30 minutes for assembly. 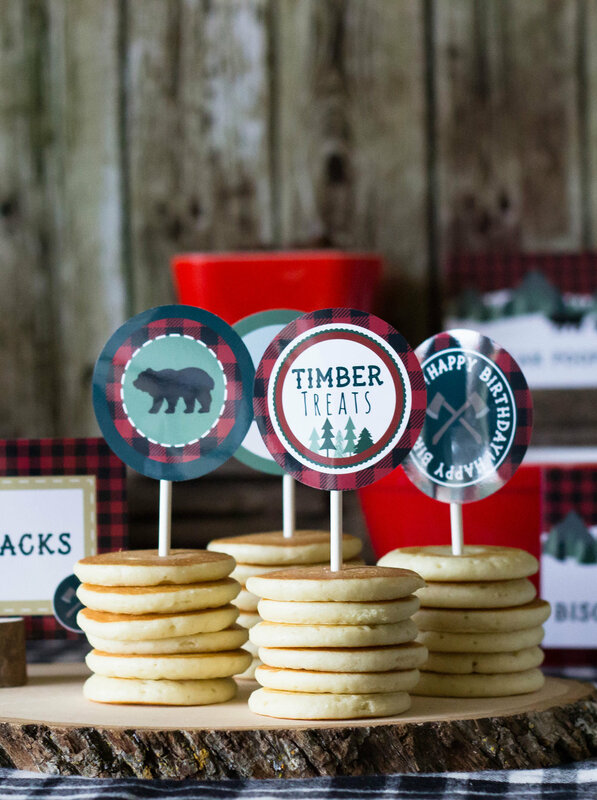 Decorating with table signs is one of the easiest ways to make your theme come to life. Party signs are my absolute favorite part of putting together an event. I love designing them, and I love seeing other people use them. They are one of the quickest, and most inexpensive ways to dress up your event. Print them and frame them to make your party pop without doing a lot of work, or just tape them up on a wall somewhere. Guests won’t care, trust me. If you’ve followed us for a while, you’ll see that I use the same white frames in almost every single one of my parties. I LOVE them. They are so easy to decorate around and I’ve used the same 3 sets for tons of events. They are so cheap that you can even spray paint them and recycle them after the party, without feeling bad if you never use them again. This is another time, where if you plan on having more than one party in your life, you need these. Total time: Around 5 minutes to cut and 10-15 minutes for assembly, depending on how you display them. Pinterest is full of good food name ideas, for every theme you can think of. Either buy cute cards, or just make your own from some card stock. Putting punny or clever food cards out is the easiest way to turn something like boring old potato chips into the star of the show. “PAWtato chips, what that’s awesome”. We personally have a ton of free cards on the blog. If you’re really short on time, try to find cards that are already done for you, or are editable so that you can make them fit what you already bought for the party. If you haven’t bought anything yet, then it would make your life so much easier to plan your food around the cards. Make a list of the food you “need” to have at your party and I’m sure you can find a food card that matches. Total time: Around 10-15 minutes for assembly. Favors only have to be as complicated as you make it. I’ve done everything from custom made “goodie bags” to literally throwing a tag on a cookie and calling it a day. 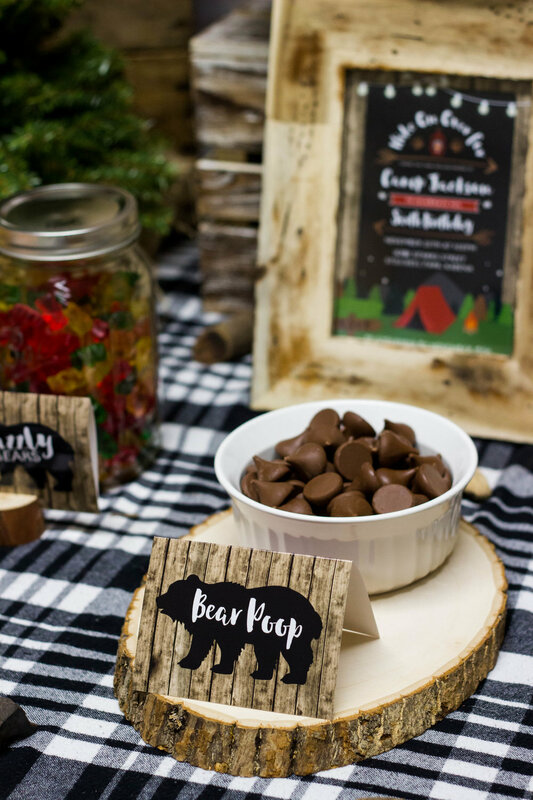 Favors for kids parties tend to be easy, give them a snack and they’ll be good all day. For baby showers, I love doing “Wipes, not just for babies” tags, and giving each guest a beauty mask wipe. If you have at least one night before your event, one of my favorite “quick” favors for baby or bridal showers are homemade bath salts. They only take an hour to put together and guests really appreciate them. Check out our Penguin baby shower post to get the recipe we use! Drumroll please ….. The number one biggest time waster of all is a …. BANNER. Ugh, I have to be honest, I despise banners. I use them, most people use them, but really guys, if you are in a hurry at all, just skip it. They take forever to create, they take forever to print and cut, and they take even longer to hang up. If a banner is a must for you, try to find a solid color banner that matches from a party store or from Amazon. It will save you so much time and money. Hopefully these tips help you out! 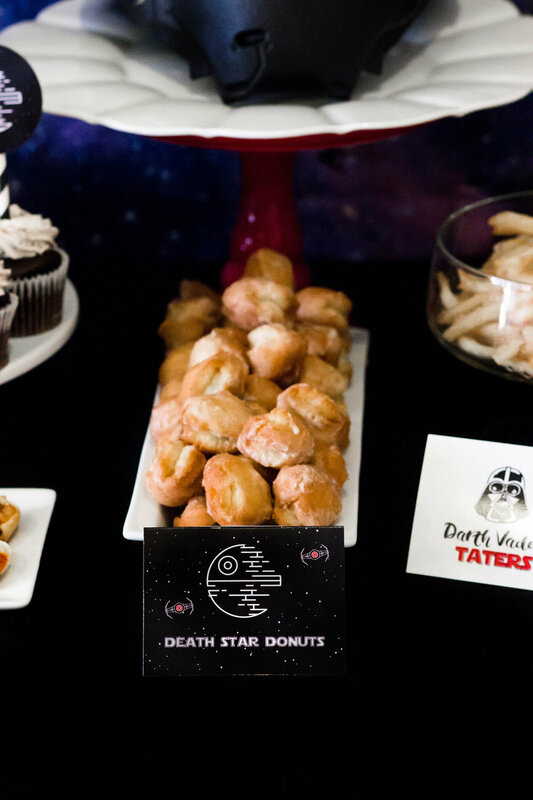 Planning a party can be extremely stressful and we want to help you find ways to make it easier! Leave us a comment with your biggest party stressors and we may feature it in our next Tips & Tricks post.